The freezer box that has been housing all the swabs at -20°C since September 2016! 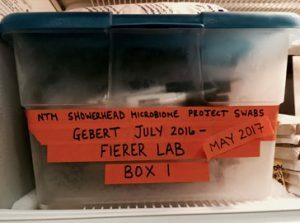 Matthew Gebert here again, just wanting to extend a huge thank you to everyone who participated in the Showerhead Microbiome Project. We now have samples from nearly 700 homes across the U.S. and each swab is a critical part of our research. We would not have been able to accomplish a project of this magnitude without the help of all of the volunteers who donated their time and energy to this project. We officially loaded the last showerhead swab on Thursday, May 25th, 2017 (crazy too think about!). As of that date, we have completed sample collection, and have begun work on phase 2, which is the ‘sample processing’ phase. 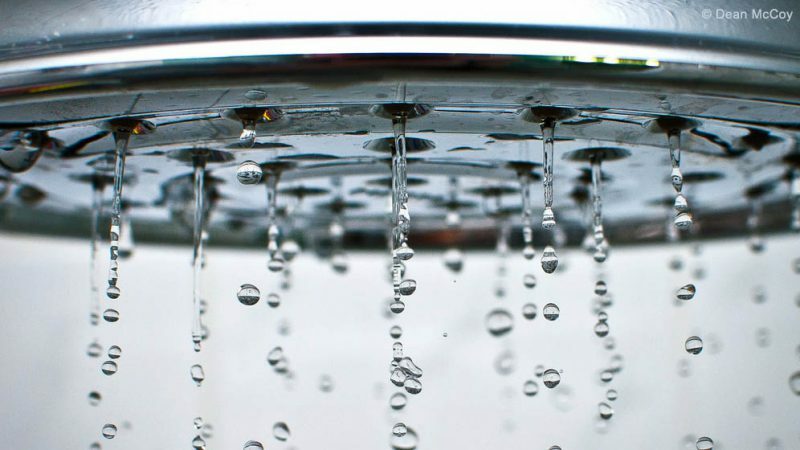 This includes extracting all the DNA from the swabs, and sequencing that DNA to determine what exactly what types of bacteria live in your showerhead! All the DNA from the swabs ends up in those plastic plates in the image above (each unique well of these 96-well plates – a total of 7 plates in all – contains all the DNA extracted from each showerhead). Stay tuned for more updates as we begin to comb through all the data that is pouring in! Check back here soon for more updates on what we’ve been finding from our explorations of the microbial life in your showerhead. Thank you again from the entire Showerhead Microbiome Team!